2. If I tell my mother what my father is doing, what good will that do? Nobody believes or trusts HER! They all know she’s crazy! 3. If the church wouldn’t believe my mom, why would my teachers believe me–or the police? Or anyone? 5. I hear my pastor and elders and adult friends at church agreeing with my father (and my father constantly reminds me of their agreement) that my mother is BAD–that she’s unspiritual, unstable, untrustworthy, wouldn’t know the truth if it hit her between the eyes, is angry and unforgiving, can’t do anything right or wise, and isn’t a good Christian–or a believer at all. I can’t really trust her, and it’s just better if I don’t tell her my worst problems. 6. I don’t have to do what my mom says. Even the church knows she’s crazy. 7. Just goes to show what all the stories say: You can’t trust adults much. The kids are for the kids. I would like to add this goes for police officers too. 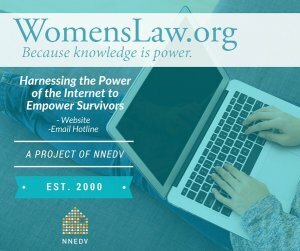 WomensLaw.org is an extensive website launched several years ago to provide state-specific legal information and resources for women living with or escaping domestic violence or sexual assault. They also provide a confidential Email Hotline to offer direct support to survivors, their advocates, friends and family members. In addition to legal information they have several pages of safety tips for various situations (including tips specifically for children), advocate and shelter locations for each USA state, national hotlines, and information on recognizing abuse in both intimate relationships and the workplace. They also maintain a Facebook page and they tweet at @WomensLaw. In the beginning of a narcissistically abusive relationship, targets have a sense of “fair, equitable treatment”. We also sense that something is “off” or not normal about the way a narcissist begins to treat us, right out of the gate. We try to stand up for ourselves, asserting our needs, and telling them how we feel uncomfortable or put off about the way the narcissist interacts with us to no avail. We simply aren’t respected as individuals. She told me that I had explained something in my paper about narcissism that she had never really come across. She was referring to how I had used the example of a narcissist guru as someone who needed to believe that he was completely free, dependent on no one—the kind of narcissist who exploits and controls others, inflating himself by deflating those he surrounds himself with. I was arguing in this paper that he needs others desperately, but that he disavows dependency, which he views as weak and shameful. He needs to lure others into becoming dependent on him, which then allows him to persist in his delusion that only others are needy, not himself. As a result of his developmental trauma connected to dependency, he externalizes dependency, and with it, shame. Dependency and shame are repugnant weaknesses in his eyes, problems for his inferior followers, not for superior him. I’d like to clarify a huge misperception related to relationships, narcissists, and abandonment that will help facilitate recovery for narcissistic abuse survivors. Now, any normal human being would think that if the person they love abandons them and leaves (for no obvious or apparent reason), then something is wrong with me not them. The normal human reaction to abandonment and betrayal is shame, specifically self-blame, self-hate, self-loathing and even self-sabotage. Well, I am here to tell you that in relationships with narcissists, not only is this NOT accurate, it is totally false and this is why?